When it comes to making family memories online, the first thing that you may hear from people is Shutterfly. It’s an American-based internet service whose main product line is its online photo books. Founded way back in 1999, Shutterfly serves its customers by allowing them to turn their digital snapshots into beautiful and personalized tangible items such as actual photo albums, smartphone cases, wall art, and even home decor. By 2014, the service has reached over 2.6 million customers and has been featured in shows like the Ellen DeGeneres Show. What the service basically does is that it helps you turn your simple digital photos into something that you can share, online or otherwise, to make for a more memorable experience. It’s an entirely free service that offers unlimited storage for all your photos for life. -Free, secure, and unlimited: These are three words that best describe Shutterfly. Like all other things that matter to you in this digital world, storing photos online might be the best way to make sure you never lose your digital photo albums. And while this sort of thing may raise security concerns, the company makes it a point to provide a service that you can trust. Moreover, you’ll never run out of storage. -100% guaranteed: Shutterfly is so confident with their service that they offer a full refund to dissatisfied customers. -Photos are preserved forever: Shutterfly will never delete the photos you store with the service, making sure your memories stay no matter what. Of course, nothing says making memories with family and friends better than going on vacation with them. As you go about your itinerary seeing beautiful sights and living unique experiences wherever you go, you’re going to need a reliable, quick, and easy way to capture those precious moments as they happen, making sure you don’t miss any of it. This is exactly what Shutterfly is for. It offers one of the fastest and easiest means of uploading photos out there. Not only can you use almost any mobile device (smartphones, tablets, desktop, etc.) with any operating system (Android, iOS) to upload your photos online, you can also connect to your Facebook and Instagram accounts as well, placing everything within reach when you start compiling your photos. A single step is all you need to get all of this done, which is crucial for vacations where everything is on the go. Capturing these memories, however, is only half the fun. Shutterfly also makes it completely easy for you to share all these precious memories with all your friends, including those who don’t have a Shutterfly account. You get to create personalized websites that are private, allowing you to control who gets to see what. This means you get to share your latest beach vacation or road trip with the people who came along (or those who couldn’t) so you can relive the memories even after you’re back home. First, make sure you’ve got an account. Go to the Shutterfly website and sign up – it’s free! Shutterfly is going to be a useful tool for your next vacation, but you’re going to need to know how to use it before you’re on the go. So, try it out first by learning how to upload a photo and more. - Check your camera before you go and consider bringing more than one mobile device for photos. - Pack lots of battery and chargers. - Bring plenty of memory cards. - Have a place to transfer backup files each day. - Read up on taking good photos. A bit of knowledge goes a long way. - Know how many photos you’re going to include in the album. Go through your photos and select each one. Putting them all in one separate folder really helps. - Browse through each of the photos you’ve selected in case you want to edit any of them before they go into the final output. - A good rule of thumb is to compile the photos in a way that tells a story. - Don’t cram all photos in one page, otherwise people won’t be able to appreciate them as much. Giving your photos space between each other will make everything easier on the eyes. - Choose your preferred background designs and layout. Shutterfly offers a wide variety of these on its site, so you’re bound to find one that’s perfect for your current project! - Can’t seem to decide on how to do the layout those photos? Shutterfly also has Smart Autofill, which is a function that automatically arranges your photos in the order they were taken while letting you add or edit afterwards. But making albums isn’t the only thing you can do with your vacation photos. Shutterfly allows you to make personalized keepsakes and souvenirs using the photos you took, such as personalized luggage tags, which you can either use for yourself or give away as a gift. Something even more unique is a photo puzzle that you can give to kids, teens, or anyone who loves puzzles. 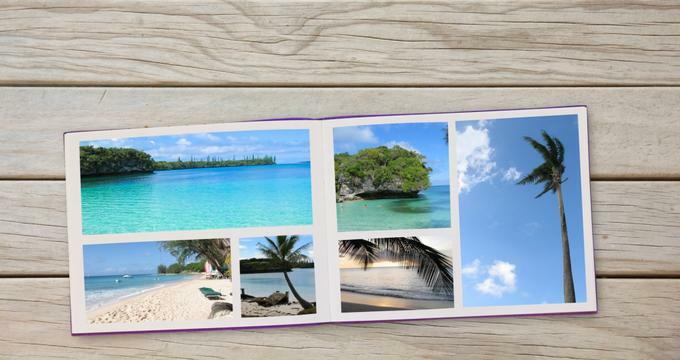 Vacations are the best place to make memories, while Shutterfly makes these memories last. Learning how to use and make the most out of Shutterfly is definitely going to spell the difference between a nice vacation and an unforgettable one.